It’s already been a busy summer for government education White Papers. First Higher Education and now Skills, and there’s nothing like a bit of reading to distract from the frankly surreal goings on of the past couple of weeks. I found the Sainsbury Panel report – whose recommendations were accepted in the Skills White Paper – quite an engaging read. What emerges is a clarity of purpose for technical education, what its purpose is and how it sits alongside the ‘academic route’. It wasn’t a rehash of tired old arguments over parity of esteem, but a recognition that a direct route to skilled employment is needed to address the UK’s productivity problem, and that reform of the qualification market is needed to achieve this, as previously argued by Professor Alison Wolf. From a science perspective, I believe that any concerns about this leading to an academic-vocational divide are misplaced. What we have in science at present is not so much a divide as a chasm, with the technical route into science careers becoming almost invisible. The only well-known alternatives to A-levels are other qualifications that are designed to lead to the same destination – higher education – and direct routes to skilled employment are few and far between. 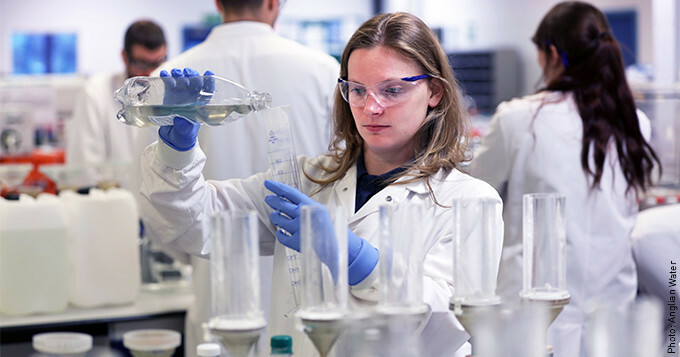 While we have welcomed and supported the development of new Trailblazer apprenticeships, working to ensure that apprentices are able to gain professional registration upon completion, numbers remain low and in the most part entry into science roles remain almost exclusively at the graduate level. This is all to the detriment of employers who struggle to recruit and retain technicians with the attitudes and aptitudes they need, and to young people who are talked out of a science career because they are told they are ‘not academic enough’. Science as a whole suffers, not least because we are depriving ourselves of a sizeable chunk of the talent pool available. I’d argue this is a diversity issue too. So a coherent set of technical qualifications leading to professional registration and skilled employment, tailored to the needs of occupations but with a common and transferable core are to be welcomed by professional bodies in science. The vision for our professional registration framework is one of flexible entry and multiple stopping-off points, and a recognition of competence independent of how and where it was acquired. This is mirrored in the proposals from the Sainsbury Panel for ‘bridging qualifications’ to enable mobility between routes. It is also worth noting that with the rise of degree apprenticeships the lines may already be blurring. The requirement for real-life placements, as distinct from more generic work experience is crucial to ensuring the value of the college-based route. Higher Education provides recent evidence of the role of work placements in bridging the attainment gap, enhancing widening participation students’ employability to the level of their non-work placement counterparts. Working with our Technical Education Committee, we have been thinking a lot about the role that full-time college education can play in developing competence. Recognising that learners who haven’t spent significant time in the workplace won’t yet be ready to gain Registered Science Technician (RSciTech) or Registered Scientist (RSci) status, we’ve focused on how qualifications prepare learners with the knowledge and skills they need to become competent in the workplace. This will be directly applicable to the new routes proposed by the Sainsbury Panel and we can envisage that learners who opt for the full time college route can gain ‘provisional registration’ on leaving college and joining an employer that will support their professional development towards RSciTech or RSci. So let’s embrace the opportunities that this clearer vision for technical education provides, for learners, for employers and for science as a whole. Contact us to find out more about the benefits of professional registration.